Click to see larger images. 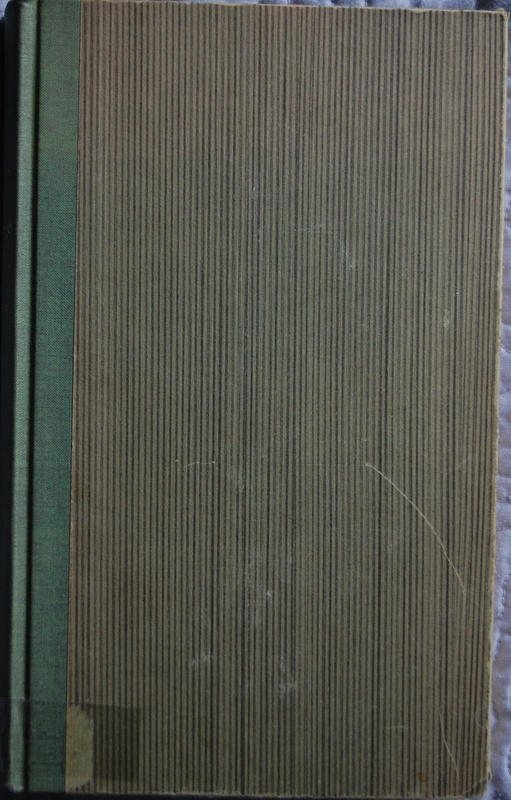 Front Binding – This has striped green boards and a darker green spine. This is a well-loved library copy, so that’s about all I can say about it! 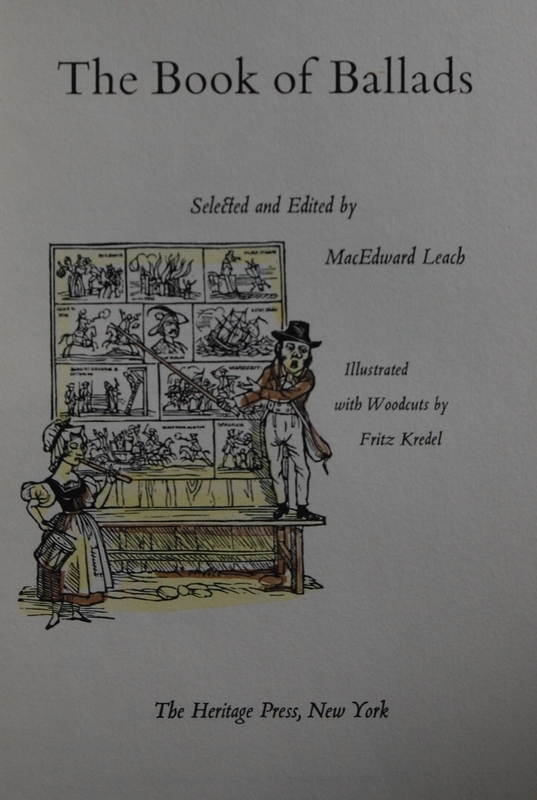 Title Page – Fritz Kredel, who also illustrated The Warden, provides his distinct woodcuts for this book. A good fit, I think. MacEdward Leach offers an introduction on top of his selecting and editing of the ballads. 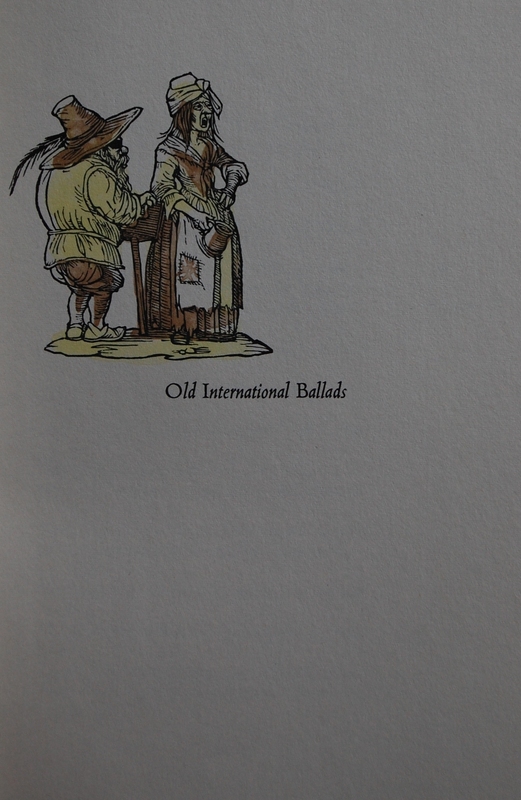 Old International Ballads Introduction – Kredel’s woodcuts serve as a divider between the ballad’s sections as well as peppering the actual ballads. Page 18 – An example of a ballad with Kredel’s art. Personal Notes – A nice book, definitely. I have seen the LEC original, and if I could, I’d go with that one. I remember it being quite lovely. This was from Porterville Library, which I checked out thanks to my Mariposa branch’s regional reservation system. I could use a heap of help here –any Sandglass info, and comparisons of this to the LEC original would be great. Please let me know through the comments here or at my thread about this blog at the George Macy Devotees @ LibraryThing! Thanks! « News: Arthur Szyk Feature at ABEBooks! You are currently reading Heritage Press: The Book of Ballads (1967) at The George Macy Imagery.